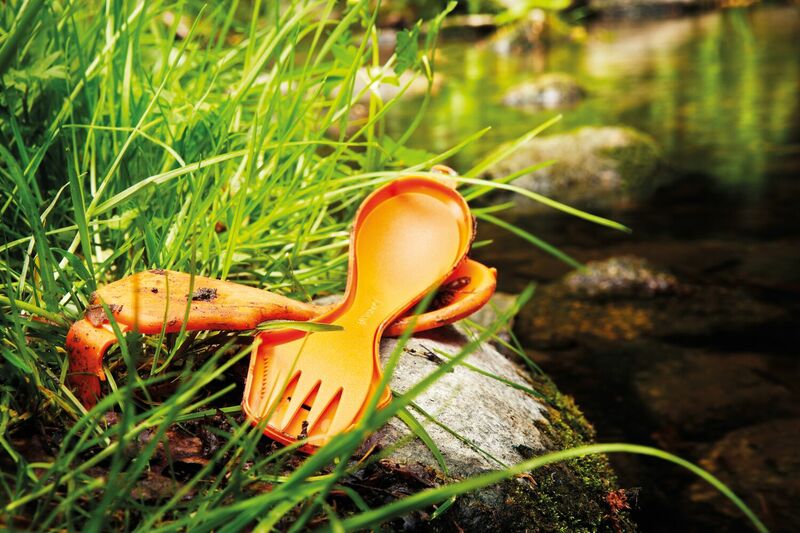 Following two years of intensive research and development, as of January 2019 LMF’s entire product line has transitioned to bio-based plastics, featuring a new palette of warm and soft colours inspired by nature. Derived from renewable crops including corn, sugar cane and tree cellulose, bio-based plastics provide a way to effectively bypass the mineral oil industry while providing a product with the same awesome properties of regular plastic. 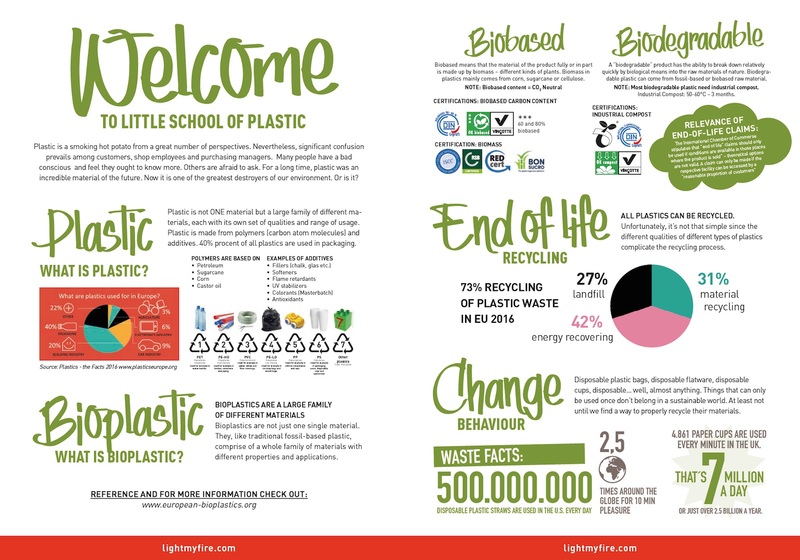 Whenever we speak about the use of bio-plastic, transparency becomes a major issue. It would be a shame to replace the devil we know, crude oil, with just another by taking land from food production in order to grow „plastics“. First things are first. The three provenances of Light my Fire’s bioplastics are clearly not in competition with food. The tree cellulose derives from wood waste from Germany, the corn based bio-monomare comes from Europe and is considered a by-product of food production. The Sugarcane-Ethanol-Granulate is from managed agriculture in Brazil, certified according to Bonsucro and ISCC Plus (International Sustainability and Carbon Certification) an international certification system for biomass and sustainable fuels that sets specific production standards, and that was developed in cooperation with producers from various countries, including Brazil and Argentina. Bonsucro is a non-profit setting standards for sustainable sugarcane. 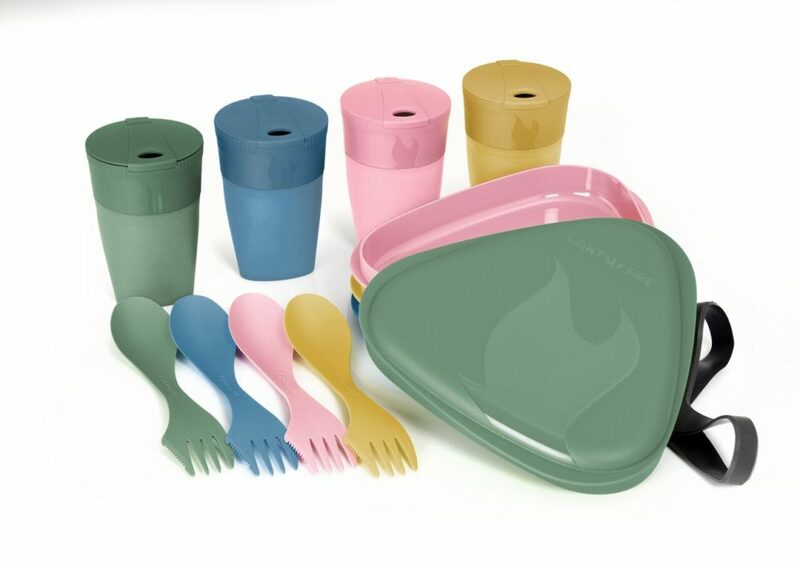 In 2019, Light My Fire will phase in bio-based plastics in all products to work towards a fossil free and more circular world where we reduce our carbon footprint. Plastic pollution in nature is a tragedy – and with proper recycling and behavioural changes, it should be avoidable. Much of plastic pollution currently consists of single-use items like plastic straws, forks and packaging, and until re-cycling becomes widespread, single-use items really have no place in a sustainable world.